The digital pinball space is surprisingly competitive, given how niche pinball is these days. Zen Studios and its brilliant original creations via Pinball FX 3 and Farsight Studios with its physics-perfect recreation of classic tables in The Pinball Arcade absolutely dominate the genre, and there's not room for much more than those two franchises. Furthermore, creating pinball games is incredibly hard. The ball physics have to be so precise as to enable perfect 360 degree movement around the table, and pixel-perfect ricochets off the myriad of objects that clutter a pinball table. If you're designing original tables, you also need to be precise in the placement of ramps, bumpers, and other objects in order to create interesting and challenging, but rewarding table layouts. None of this is easy - indeed, I think the art of pinball design is something that nowhere near enough people have adequate respect for. So I sympathise with other developers that want to try their hand at creating digital pinball. Over the last couple of weeks the Nintendo Switch has seen one such upstart release two separate tables as separate apps on the machine; Jurassic Pinball and World Soccer Pinball. There's not too much I can say about these individually, so I figured I'd roll the two of them up into a single review. The crux of the issue with both tables, however, is that they're just not competitive with Farsight Studios and Zen Studios, and for digital pinball, that's a death blow in itself. 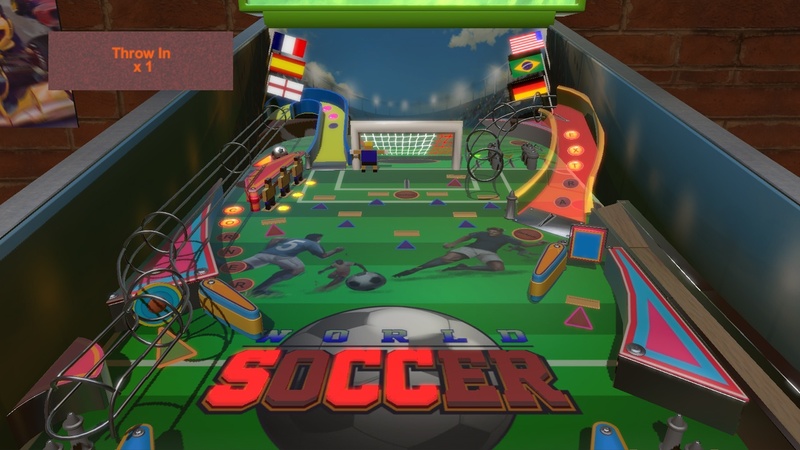 World Soccer Pinball is the pick of the two tables, thanks to the presence of the goal and goal keeper on the table. Much of your attention on this table will be focused on getting the ball past the goalkeeper, which is a challenging task, in the same way that sliding a ball past the moving obstacles at a mini-golf part is a challenge. The benefit of putting such a focus onto the table is that it provides a distraction from how otherwise dull the table is. It looks and plays very much like an early era pinball table, with a general minimum of clutter, and a standard (one could say uninspired) set of ramps on either side, with a couple of bumpers, comprising the scoring opportunities. Even modern physical pinball tables have a greater sense of adventure and exploration when compared to what World Soccer Pinball offers, but you'll largely forgive it for that, because the simple task of shooting the ball past the goalie is a fundamentally good use of the pinball experience. 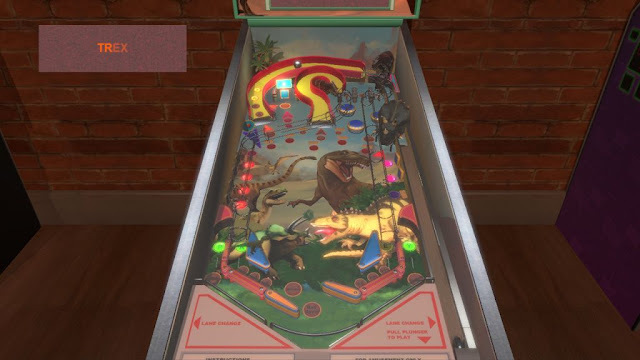 Unlike Jurassic Pinball, the physics of the ball aren't as frustrating, either. It still feels overly "heavy" to play with, and decelerates far too readily as it reaches the more distant parts of the table, but the centrepiece - that goal and goalie - is within range such that a good flick of the ball will score you a goal before the ball has a chance to slow down. World Soccer Pinball is still not great pinball, because it offers such a pedestrian, basic, near-childish design, but it's playable and passable. Jurassic Pinball is the one that has the real problems. On this table, the physics engine really lets it down. See, across these two tables, the ball has a habit of slowing down very rapidly after it has travelled a certain distance; in other words, by the time the ball reaches the back third of the table, the physics engine really seems to exaggerate the slowing down before the ball starts rolling back down the table. For Jurassic Pinball this is a problem because most of the exciting stuff involves the ramps at the back end of the table, and actually getting the ball up those is unreasonably difficult. The actual windows for being able to hit the ball into those ramps with enough momentum to continue around feels far narrower than it should, and that becomes frustrating. And, unlike World Soccer Pinball, with no obvious (literal) goal sitting right there in the play field the objectives and "missions" are not communicated particularly well, making the process of learning the table a irritating slog. Otherwise the table faces much the same issues as the other one; it's just too simplistic and bog standard in design. 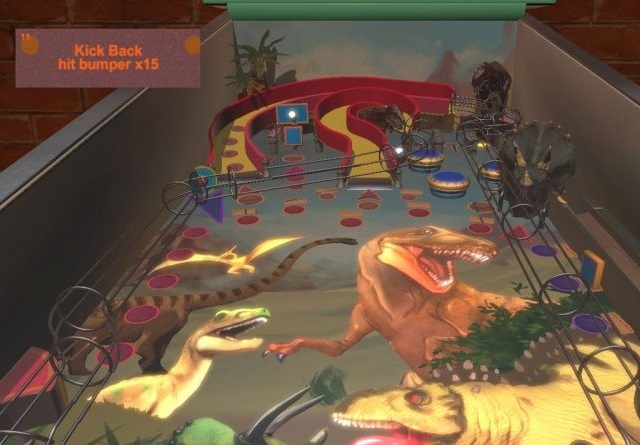 I appreciate that the developers were aiming for traditional pinball experiences, but that's no excuse for not at least coming up with some dynamic, flowing table designs. The other problem both tables face is that they're just not that good value. On the surface they might seem cheap - $Aus3 to purchase off the eShop, but then you realise that in Pinball FX 3 and The Pinball Arcade tables are sold in packs so that they come out at about the same price, and you realise that, as admirable as these attempts might be, at best all the developers have done is bring a knife to the gun shoot-out that is the competition among pinball developers.